This entry was posted on Monday, April 11th, 2011 at 12:00 am and is filed under Comics. You can follow any responses to this entry through the RSS 2.0 feed. Both comments and pings are currently closed. Unless you want to join the ranks of facehuggers! Also, I really like Locke’s irritated/frowning face. It makes me laugh. Note: The book of human faces has no ACTUAL connection to the monster book of monsters. 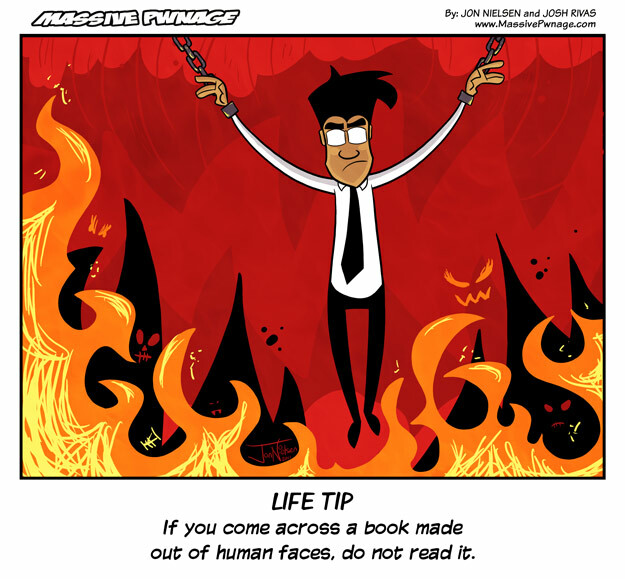 Please tell me you didn’t find this tip in a book made out of human faces.